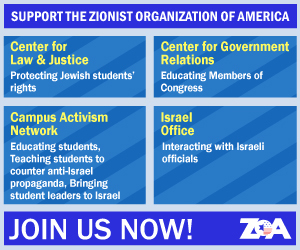 The Zionist Organization of America (ZOA) strongly criticized the position taken by the Solicitor General of the United States in Sokolow v. PLO, a lawsuit brought by American victims of terrorism in Israel against the Palestine Liberation Organization (PLO) and the Palestinian Authority (PA). The Solicitor General’s position, representing the views of the United States, renders meaningless the Anti-Terrorism Act, a federal law that affords a crucial legal right and remedy to American victims of international terrorism. This position hurts the American terror victims, aids and comforts terrorists, and makes them less concerned about facing consequences for their hideous actions. The plaintiffs in Sokolow are U.S. citizens killed or injured in seven horrific terrorist attacks orchestrated or carried out between 2001 and 2004 by officers and agents of the PLO and the PA. In 2004, the victims and their families sued the PLO and PA in the southern district of New York under the Anti-Terrorism Act (ATA). The ATA provides a civil cause of action to U.S. nationals “injured . . . by reason of an act of international terrorism.” 18 U.S.C. § 2333(a). More than 10 years after filing suit, the Americans’ case proceeded to trial before a jury. In 2015, the jury found the PLO and PA liable under the ATA for perpetrating and materially supporting acts of international terrorism against U.S. citizens. They awarded the American terror victims $218.5 million in damages, an amount automatically trebled to $655.5 million, as required by the ATA. On appeal, the United States Court of Appeals for the Second Circuit vacated the jury verdict and instructed that the terror victims’ case be dismissed – even though the victims and their families proved at trial that the PLO and PA were responsible for executing the terrorist attacks that caused their deaths and injuries. The Second Circuit concluded that it would violate the Fifth Amendment’s Due Process Clause to exercise personal jurisdiction over the PLO and PA, because the plaintiffs had not shown that the PLO and PA “specifically targeted” U.S. citizens or had the “specific aim” of targeting the United States. The victims petitioned for a writ of certiorari, asking the U.S. Supreme Court to review the Second Circuit’s judgment. The Supreme Court issued an order inviting the Solicitor General to express the views of the United States regarding the victims’ petition. The United States has an avowed commitment to fighting international terrorism, holding terrorists accountable, and deterring future terror attacks. Last August, for example, President Donald Trump wrote on Twitter, “Radical Islamic Terrorism must be stopped by whatever means necessary! The courts must give us back our protective rights. Have to be tough!” Given the President’s strong stand on this issue, it would be sensible to assume that the Solicitor General would file a brief urging the Supreme Court to review the Second Circuit’s troubling decision and reinstate the judgment against the PLO and PA. It is mystifying that the Solicitor General did exactly the opposite. He filed a brief on behalf of the United States urging the Court to deny the terror victims’ petition for a writ of certiorari. In effect, the United States asked the Supreme Court to leave undisturbed the Second Circuit’s decision to dismiss the victims’ case and deny them the justice they are entitled to under federal law. This latest action by the Solicitor General – asking the Supreme Court not to review the Second Circuit’s decision to dismiss the victims’ case – is yet another indefensible affront to American terror victims and their families. 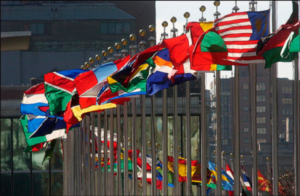 The United States has in effect assented to the jurisdictional hurdles imposed by the Second Circuit, which will prevent many if not most victims of international terrorism from suing to hold their terrorist attackers accountable. ZOA National Board Member David Schoen, Esq. regularly represents American victims of terror and represented the plaintiffs in the Sokolow case at the pretrial stage in the trial court. He successfully argued against the PLO/PA’s motion challenging the jurisdiction of U.S. courts to hear this case under the ATA. Schoen also filed an amicus brief for the Restoring Religious Freedom Project at Emory University in support of the victims, urging the Supreme Court to hear the case. ZOA National President Morton A. Klein, ZOA National Board Member Clifford A. Rieders, Esq., and ZOA’s Center for Law and Justice Director Susan B. Tuchman, Esq. also expressed their dismay: “As the Solicitor General knows, few if any terror victims will ever be able to satisfy the Second Circuit’s jurisdictional requirements. They will not be able to show that U.S. citizens or the U.S. were the specific targets of terrorism overseas – nor should they have to. Terrorists do not typically target their victims by nationality. They are rarely available to testify in U.S. lawsuits to describe their targets or aims. The goal of terrorists is to kill as many people as possible, including Americans. ZOA to Atty. 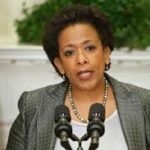 Gen. Lynch: Are you siding with Palestinian terrorists – not American victims?